Another Frugal Friday...another bunch of amazingly inspirational posts!! I know I say it a lot...but I think I have the most talented readers in the blogosphere! And I'm so grateful that you all link up every week to share your talent with the rest of us. First up, this AMAZING argyle nursery from Plain Jane Boutique. I just love a great new paint tenchnique. And I'm adoring this one! 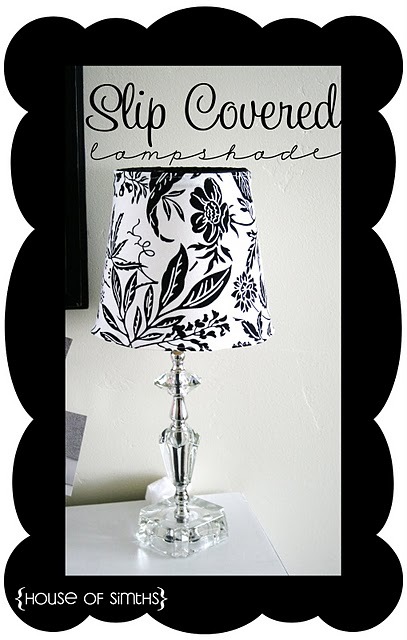 Next up, House of Smith's shared a lampshade slipcover tutorial. One word...brilliant! 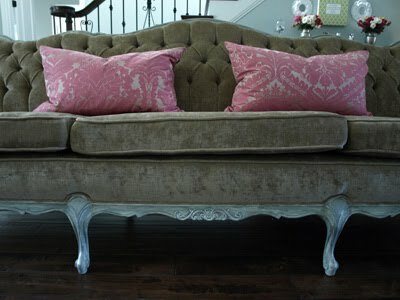 I just love everything about this photo...the tufted brown velvet sofa...the pretty pink pillows. Le sigh. Less Than Perfect Life of Bliss shared her "Parisian Pillows" made of pink damask straight from Paris! Bonjour my pretties! And you know I can't resist a good furniture rehab. 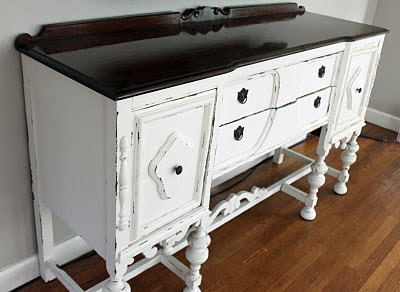 So I love this white buffet shared by Wannabe Cottage! There's a ton of other great inspiration in last week's Frugal Friday...pop over here and take a look! Thank you for hosting this great party. I so appreciate the time you take to feature great posts from the party as many of us can only visit a few of the sites. The argyle painting technique is great - I can see it being used in so many different rooms. The argyle wall is just amazing, what a creative approach to designing this nursery! YAY! I heart linky love! That nursery is ADORABLE. I am going to have to tuck that idea away in case our next one is a boy! LOVE IT! sorry...i've been so busy with end of the year school CRAP. Thanks for highlighting my pink Parisian pillows!! !